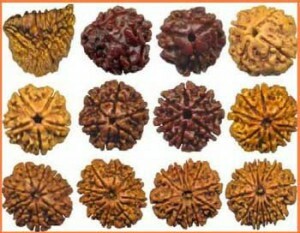 Various Indian Puranas (ancient religious historical books of knowledge) has different anecdotes about the origin of this fruit–the seed of which is called as Rudraksha. It is stated that after destroying the world due to self-immolation of his wife Sati in her father Daksha’s Yagna, Lord Shiva felt immense remorse. A drop of tear emerged from his Third Eye. This tear drop fell on earth (in today’s Nepal) and from there sprouted the Rudraksha tree. Apart from high medicinal value, the 21 different types of Rudraksha beads have magical astrological powers to alleviate many troubles of life, provided they are made to go through the “Shodhanam” and “Jagratam” procedure. Astrologer Sharda Priyaa can provide you the most pure Rudraksha based on your astrological needs derived from your birth horoscope. You will be required to provide your accurate date, time and place of birth for this. Apart from this, she also gets the Rudraksha undergo the Shodhanam and Jagratam procedure and tells you the most auspicious date, time and the Beej Mantra to be chanted during wearing the bead. You can contact her for knowing his consultancy donation for seeking remedial guidance through Rudraksha.